Following Wednesday’s garbage earnings from Cisco and Akamai the mood of the day is sour. European markets are lower. The IBEX is off 1%. Paris’ CAC-40 is off about 0.6%. The DAX is off 2.7%. 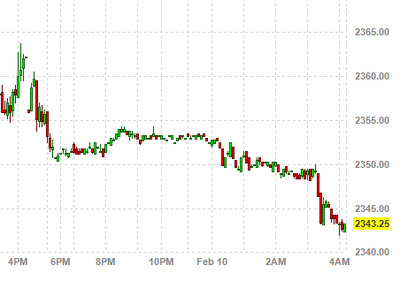 And in addition to commodities, US futures are down. The NASDAQ, not surprisingly, is getting hit the hardest thanks to tech.